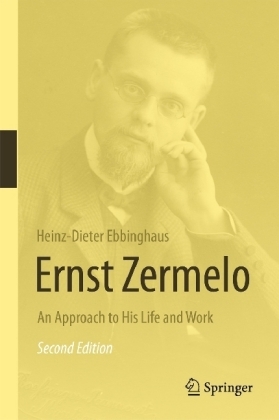 This biography sheds light on all facets of the life and the achievements of Ernst Zermelo (1871-1953). Zermelo is best-known for the statement of the axiom of choice and his axiomatization of set theory. However, he also worked in applied mathematics and mathematical physics. His dissertation, for example, promoted the calculus of variations, and he created the pivotal method in the theory of rating systems. The presentation of Zermelo's work explores motivations, aims, acceptance, and influence. Selected proofs and information gleaned from letters add to the analysis. The description of his personality owes much to conversations with his late wife Gertrud. This second edition provides additional information. The system of citations has been adapted to that of Zermelo's Collected Works in order to facilitate side-by-side reading and thus profit from the thorough commentaries written for the Collected Works by experts in the respective fields. All facts presented are documented by appropriate sources. The biography contains nearly 50 photos and facsimiles.